The LRTimelapse Pro-Timer is an Open Source Intervalometer for timelapse, macro and astro photographers. I've developed it as a DIY Project and I'm sharing the build instructions with you for free. This intervalometer fulfills all my current requirements for shooting my timelapses. 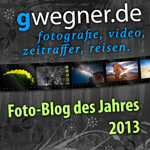 You can find the project page here: LRTimelapse Pro-Timer Free Project Page. 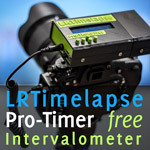 New The easiest way to build a LRTimelapse Pro Timer !! 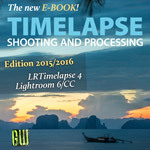 New LRTimelapse Pro Time Free source code now available on GitHub! New Timelapse Stepper Motor Controller for Pro Timer first Version ready!! New Control cameras without remote trigger input with the LRT Pro Timer Free!! New LRT ProTimer free Version 0.93 Camera control without transistor!